Look what I found when I was in Bali last December 2013. In the morning, I walked down a village in Batubulan, and this offering (called banten in Bali) made me fell in love. 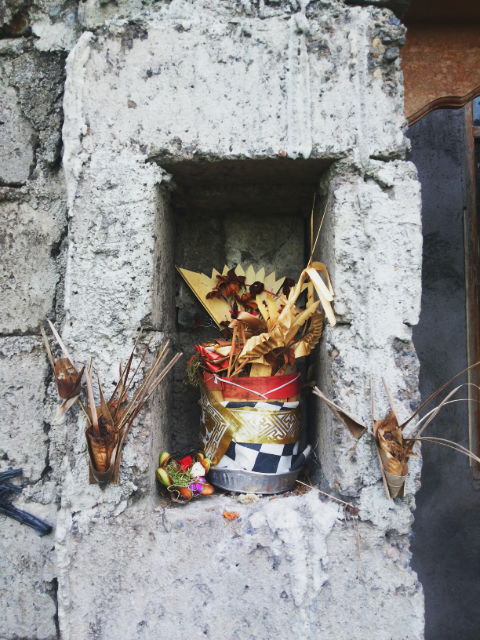 Banten is an offerings by hindus people as the form of gratitude to their God. They prays every day and put an offerings at the place of prayer, which its usually located at the front of their house. These offerings are not cleaned every days, so we could see some of it has dried and become brown.